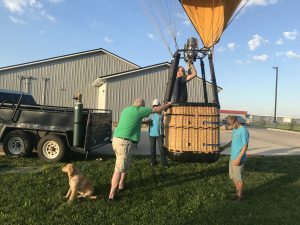 The Oldest and most Experienced Hot Air Balloon Company in Iowa! Peter O. Stamats took his first ride in a hot air balloon in 1974 and he was hooked. He bought a balloon, took lessons and then got his license, all in that order. 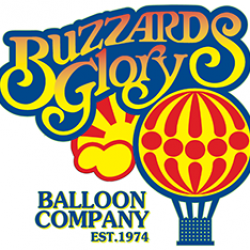 He started Buzzards Glory Balloon Company, LLC in the fall of 1974. 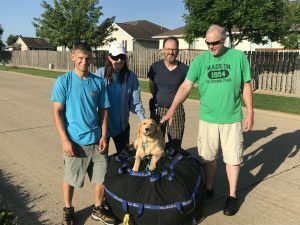 Peter was the only balloonist in Cedar Rapids for quite some time. 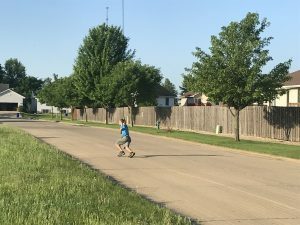 The people of Cedar Rapids were surprised and thrilled to see a hot air balloon floating over their city and surrounding area. 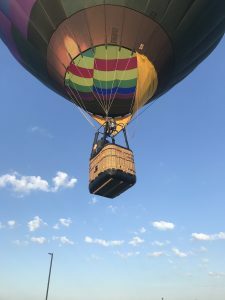 Peter sold rides, donated rides to charities, trained pilots and was a representative for Cameron Balloons for many years and more recently for Lindstrand Balloons US. He also taught a continuing education course at Kirkwood Community College called “The Art and Science of Hot Air Ballooning”. 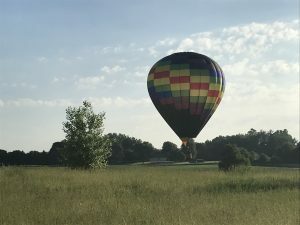 His philosophy was: ballooning is more an “art” than a “science.” Ten years later, Peter taught his wife, Susan, to fly and their balloons were seen floating together over Cedar Rapids on most perfect days. They continued until late in 2003 when Peter passed away leaving Susan to carry on their passion. A balloon ride is a magical experience to be enjoyed by all. Rides make wonderful memories for: engagements, weddings, anniversaries, birthdays, graduations, retirements or just for fun. Companies use rides as sales incentives, drawings at picnics or for other company events. With over 40 years of experience we’ve flown for just about every occasion imaginable. We have a lot of satisfied customers and many repeat customers.